Okay, I think it’s safe to say that pretty much any helicopter weighs more than me. But there are helicopters, my friend, and there are HELICOPTERS. I mean just look at that thing. 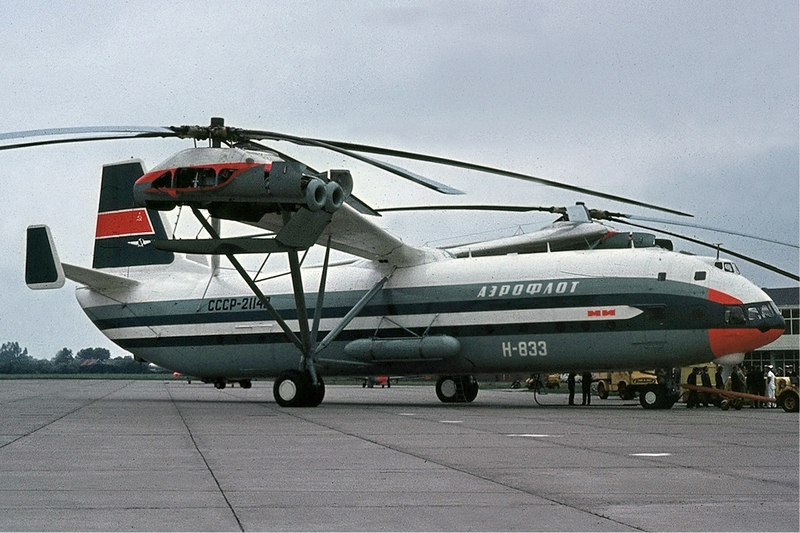 It’s so big that a regular helicopter nestles like a tiny baby upon it’s ginormous wing. We’re talking HUGE. Conclusion: I don’t think you’d need to lift the armrests to ride in this baby, and the Mil V-12 weighs more than me. This entry was posted in Uncategorized and tagged HAES, Health At Every Size, Helicopter, Jeanette DePatie, Mil V-12, missle components, prototypes, really heavy stuff, Russian, size acceptance, Size Diversity, stuff that weighs more than me, the fat chick on May 16, 2013 by fatchicksings.